Over the last six years, we’ve worked to build a new type of men’s lifestyle destination for the modern guy. 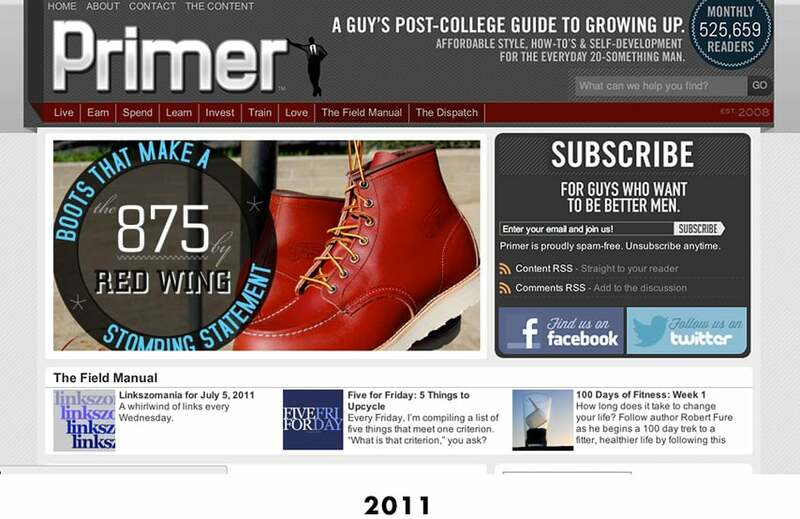 Tired of all the over-priced fashion, and the narrow definition of manhood found in every traditional men’s magazine, Primer is the resource for the smart, thoughtful, modern Millennial man. 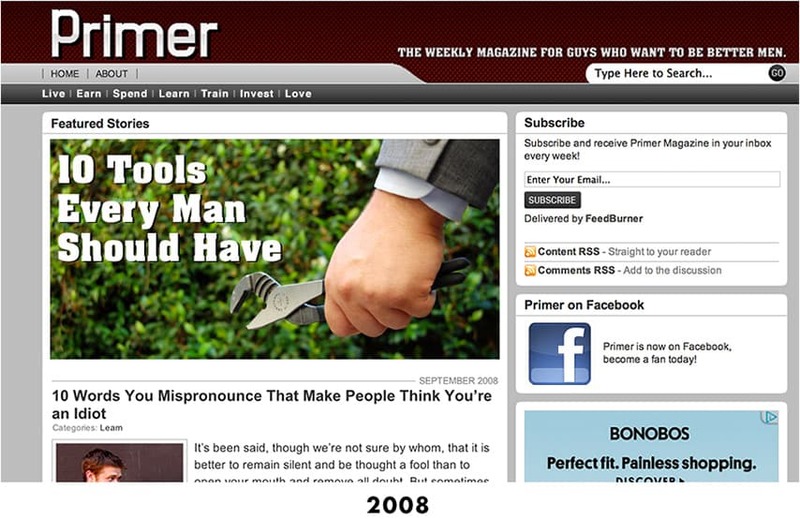 Today I proudly introduce to you a completely redesigned Primer. Fundamentally reimagined to make reading and browsing faster, easier, and more intuitive. Modern browsing needs modern design. 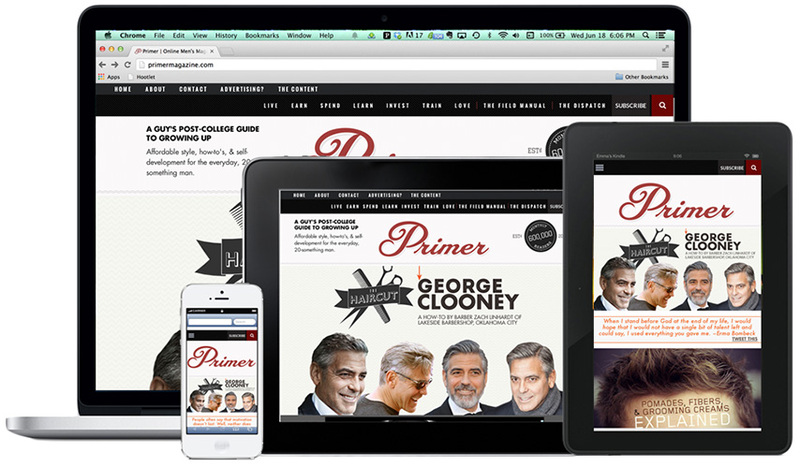 The new Primer makes full use of the high resolution screens we’ve grown accustomed to. A persistent navigation bar provides full access to search, categories, contact, and subscribe forms from anywhere on the site. Common tools are just a hover away. The Field Manual, subscribe boxes, and even contact forms are fully accessible right from the persistent navigation bar. Traditional browsing takes a reader to the end of an article – and leaves them hanging. 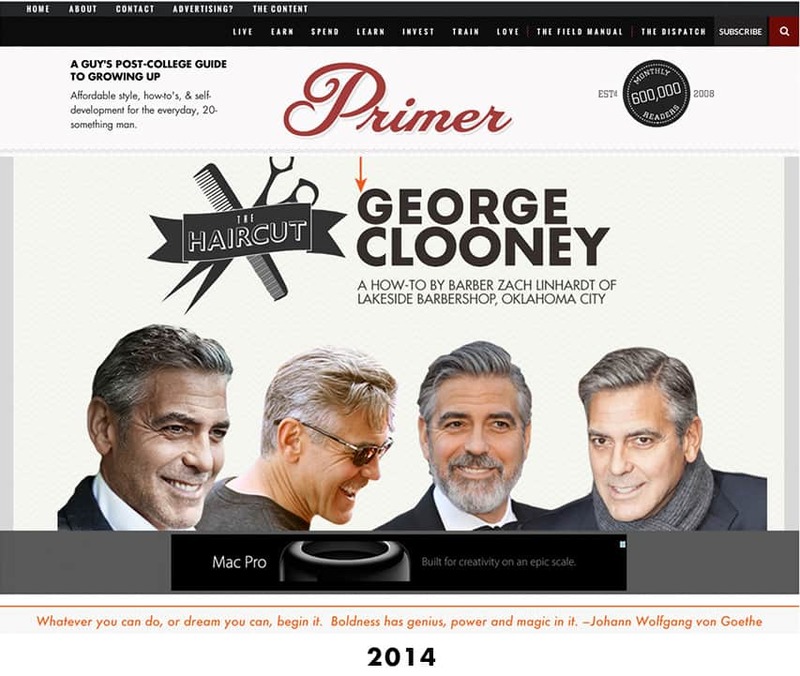 The new Primer gives you all of the latest posts right where you need them: At the end of the one you just finished. Congrats Andrew! The site looks great! Just another reason to love Primer! Huge congratulations to you, Andrew. This is a very, very slick look that will serve you well. It looks fantastic! Great job Andrew! Looks awesome! Very easy to navigate, and love the new branding! Thank you for all the hard work you put into this website. Aspiring gentlemen everywhere salute you! The new logo is much sharper, looks great! Looks sharp! Just FYI, “persistant” should be “persistent”. Looking good. Note: The (somewhat annoying, IMO) social media sidebar covers up the comments and blog posts on my computer (mac retina 13″). Yeah, that’s one of the few final tweaks we have to make. Should be fixed shortly. Thank you! If you’re looking for constructive criticism here, I love the site but hate the share buttons floating on the left. They cover up titles and what-not once you get to the bottom of the webpage. Other than that, fantastic redesign! Andrew the new site layout looks fantastic. Wishing you even more success with the site. I tend to get bend out of shape when any site I frequent gets a redesign but in this case I can’t help but be impressed by how wonderful it looks. Good job guys! More power to y’all.